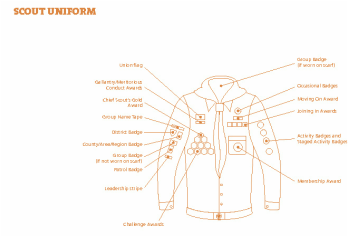 Scouts is for boys and girls aged 10.5 - 14. We have three Scout Groups, Tuesdays 7.00 - 9.00, Thursdays 7.00 - 9.00 and Fridays 8.00 - 10.00. Summer Camp is the highlight of the year for Scouts. Camping in a farmer's field, Scouts cook their own food on open fires, live in tents and take part in a wide range of activities such as windsurfing and fishing. The Leaders do their very best to keep the cost of Scouts as low as possible. Subs are paid quarterly. The current subscription rate is £25.50 per quarter. 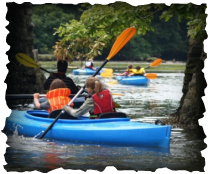 In Summer, we take Cubs and Scouts kayaking on the River Don. To make sure that sessions are safe as well as fun, we take groups of around 8 youngsters. We can't take everyone, so we invite youngsters to attend who have impressed due to their attitude, behaviour and conduct. Kids come who deserve it most! It's great fun, from kayak dodgeball to descending the rapids with older Scouts. If you can't make it for any reason, short time scales make it difficult to invite another youngster. In this situation, we take a smaller group. We take the power of the water seriously. If the river water level is too high, we may postpone at short notice. This is for our children's safety and enjoyment. If you've ever wondered why we air tents after camps, click here to see one Scout Group's mess tent that had been put away damp!